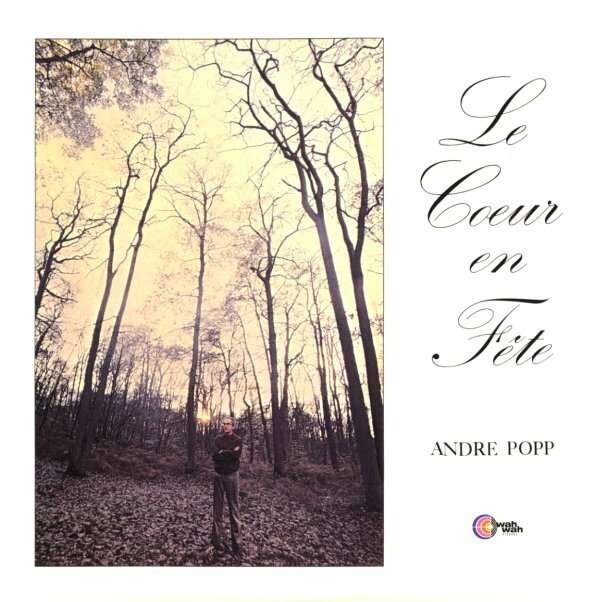 Easily one of the most trippy albums ever from Andre Popp – a French arranger who's usually best known for his lounge recordings of the 50s and 60s – but who's working here in a more psych-inspired mode that's right up there with the work of Jean Claude Vannier and Michel Colombier! Like both of those artists, Popp uses conventional instrumentation, turned towards trippier rock-era styles – a bit of flute, light guitar, touches of organ and piano – all held together by electric bass that sews things up from the bottom – and produced with lots of cool studio effects that further trip out the core sounds! The work is way different than Andre's gentler pop instrumental records – and titles include the funky "Pour Celui Qui Viendra", plus "Tric Trac", "Ophelia", "Ave", "Theme In G Minor", and "Toutes Les Pommes Du Paradis". © 1996-2019, Dusty Groove, Inc.